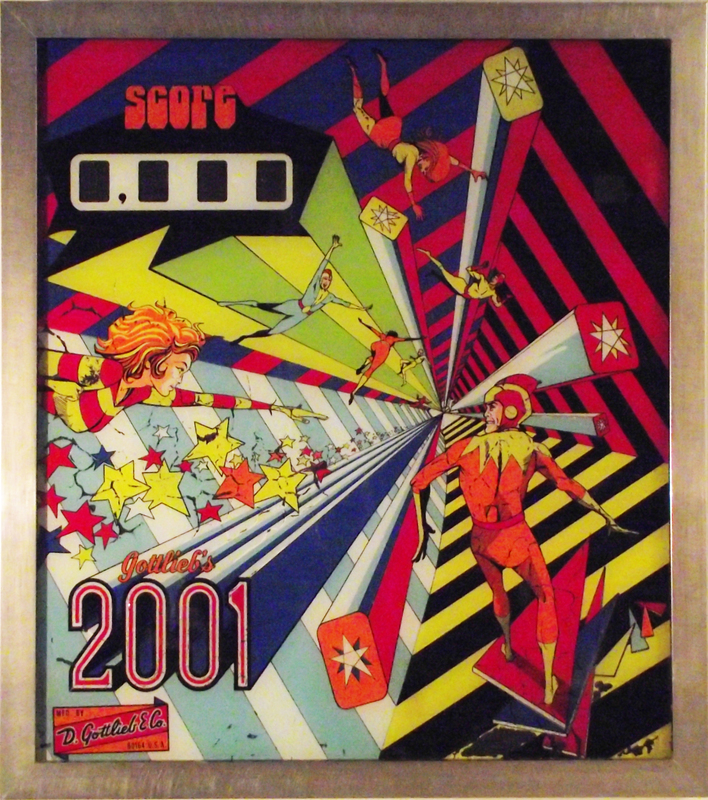 This is an original pinball machine backglass from a Gottlieb '2001' machine from 1971. Although this pinball was not produced under licence to Stanley Kubrick's 1968 movie '2001: A Space Odyssey', the graphics are clearly inspired by it. It would look fabulous as part of a retro design theme or in a games room! It is a screenprint on 6mm glass, and is professionally framed in a brushed aluminium frame which complements the futuristic theme of the artwork. There is some crazing in picture and some pigmentation loss which is most common in art of this era and adds to the authenticity of the piece.